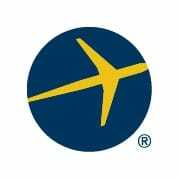 NEW YORK, Aug. 9 /PRNewswire-FirstCall/ — IAC/InterActiveCorp (Nasdaq: IACI) today announced the successful completion of the spin-off of Expedia, Inc. to IAC shareholders. Immediately prior to the spin-off, IAC effected a one-for-two reverse stock split. As a result, holders of IAC common stock received one share of Expedia common stock and one share of IAC common stock for every two shares of IAC common stock held immediately prior to the completion of the reverse stock split and the spin-off. Today, Expedia will begin trading regular way as an independent publicly traded company on the Nasdaq National Market under the symbol “EXPE” and IAC will begin trading excluding Expedia. IAC common stock will trade under the symbol “IACID” for a period of up to 20 trading days to provide notice to the market of the extraordinary event affecting the stock. After that period, IAC common stock will commence trading under the symbol “IACI.” . new warrants to purchase shares of Expedia common stock will begin trading today. Each warrant that trades on the Nasdaq National Market under the ticker Symbol “EXPEW” will entitle its holder to purchase one half of one share of Expedia common stock at an exercise price of $15.61 per warrant and each warrant that trades on the Nasdaq National Market under the ticker symbol “EXPEZ” will entitle its holder to purchase 0.969375 shares of Expedia common stock at an exercise price of $11.56 per warrant. IAC operates leading and diversified businesses in sectors being transformed by the internet, online and offline … our mission is to harness the power of interactivity to make daily life easier and more productive for people all over the world. To view a full list of the companies of IAC please visit our website at http://iac.com. Inc. also operates international sites in Canada, United Kingdom, Germany, France, Italy, Netherlands and China through its investment in eLong™.